My week ended with a plugged classroom sink. The sitting water wouldn't drain and I was stumped because nothing ever goes down it except water, or my leftover coffee or tea. My assumptions were way off though. A work order was put in and the district maintenance guy came to take a look....during the middle of my classroom instruction. He plunged, plunged, plunged...on and on while I tried to teach. I stopped to ask him if I needed to clear out under the sink and he stated, "No, not unless I need to get the snake." Great thing to say with a class full of kiddos. I could see many of them trying to figure out why he would need a snake to fix the sink. I clarified. "Boys and girls, a snake is a tool to unplug a drain, not a real snake." On went the lesson, until finally after more plunging and yes, using the "snake", 3 watercolor brushes were found. I was shocked. First, I never rinse watercolor brushes. I have the kids put them back in the container and air dry. Second, my class has not water colored this year at all. Third, how did 3 of them get down the sink? I could see maybe one as an accident but not 3. I guess I'll never know. I can only assume this problem was started with my last year's class, since that is when I last remember water coloring. 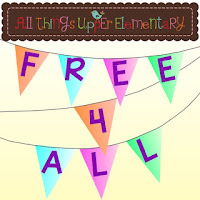 If you are looking for some good freebies, hop on over to All Things Upper Elementary today. I added this to the grabbings. 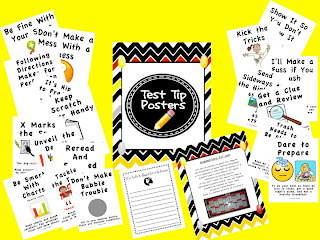 Randy Sauer has written a testing theme song called Rock This Test. So has Dallas Thompson's 5th graders. Links are below for both songs. I'm adding them to my bag of testing tricks. Standardized testing in my district will be in April. It's creeping up quickly. 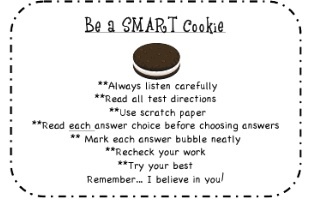 I reinforce testing skills from week one of the school year though as part of my regular teaching. Catchy rhymes and hints stick with my students when I use my Test Tip Posters. 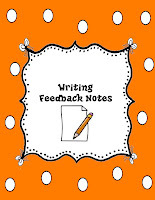 Also, the week prior to testing I send home a healthy snack donation letter to parents so I can pass out brain friendly treats in between testing sessions. 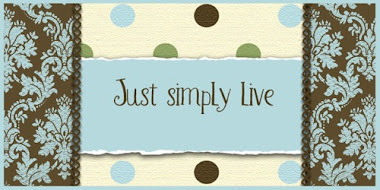 How do you prepare for standardized testing? My class is learning about the solar system and we recently went to the California Science Center to view the Space Shuttle Endeavour exhibit. A great follow up to this field trip was courtesy of Lakeshore Learning. You can choose to play with 1-4 teams and can also adjust the length of game. Plus a score report shows the results of each team and it is printable too. An added bonus is in the menu feature you can use a printable pre/post assessment in conjunction with the software. Other goodies that are equally fun and educational include their math and phonics versions. I topped off today by combining Valentine's Day with Lincoln history. I read this book that gives background on how Lincoln used to keep important notes inside his top hat. I'm using this virtual tour of the Lincoln Memorial to bring history to life. For Washington this interactive timeline is a treasure. 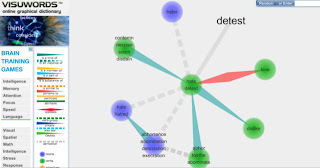 On another note, I shared a neat resource for a thesaurus study over at All Things Upper Grade. Friday math was pumped up with volume literally. And..are you ready for a good sale? 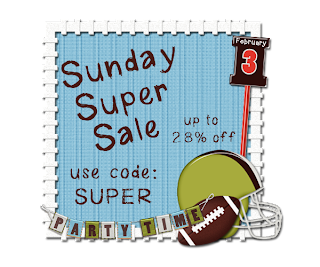 Stop on by my TPT store on Sunday and use the code SUPER for an extra 10% off my already discounted prices. My sale will extend into Monday as well.